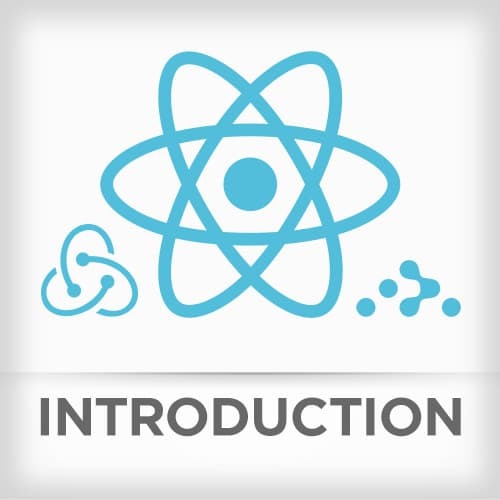 This course has been updated and replaced by v3 of Complete Intro to React! Go there. Much more than an intro, Brian takes you through building an entire real-world web application in layers, giving you a complete, battle-won picture of the surrounding React ecosystem from Brian writing React in production at Netflix (and before that Reddit). Learn JSX, build React components, use tooling around React including: Babel, ESLint, Yarn, Jest and Webpack 2, and learn the latest React Router v4, plus use Redux for state management. Brian runs the Yarn installer and views all the dependencies required by the project. He showcases a few features of Yarn which separates application dependencies from development dependencies. Yarn can also indicate dependencies which have updates available. Brian introduces the React library and draws a few comparisons to other libraries/frameworks like jQuery, Backbone and Angular. He stresses that React is just a View layer and, while his first examples will be fairly bare bones, the code will slowly evolve into a full-stack application. Brian builds out a very simple React component. This component does not use any advanced features like JSX, ES6, or Transpiling. It simply utilizes the render() method to return a <div> with an <h1> inside it. Before moving on to the next example, Brian spends a few minutes explaining the difference between the createClass() and createElement() methods. The createClass() method creates a blueprint for a new type of component while the createElement() method creates an instance of a component. NPM Scripts are an easy way to shorten commands need to build, test, package, or lint the application. Brian prefers using NPM Scripts over task runners like Grunt and Gulp. The next tool Brian introduces is Webpack. Brian will be using Webpack to compile and bundle ES6 modules through the use of Webpack Loaders. Before he an leverage these bundling features of Webpack, Brian first separates out the MyTitle component and converts it to use ES6 module syntax. With standard properly configured, Brian adds linting to the watch command. Now linting errors will appear automatically whenever a source file is edited. Brian also configures the eslint-loader to exclude the node_modules directory since developers are typically responsible for testing dependencies. For now, Brian is using the HashRouter for updating the URL. The HashRouter includes the current route after the “#” in the URL. It pattern-matches the requested route and displays the specified component. Brian adds the UI for displaying shows. Hey then makes a case for creating a separate component to encapsulate a show’s functionality. This leads Brian into making the ShowCard component and introducing how to pass properties into a component. The two main methods for managing state in React are getInitialState() and setState(). Brian uses the getInitialState() function to set the searchTerm property initially in the Search component. When the onChange event fires in the input field, the setState() method will updated the searchTerm property, which in turn, updates the state. Brian writes another unit test which will verify the number of ShowCard components matches the number of shows in the JSON data. After the test is written, Brian demonstrates how to break the test by including a default search term. Brian creates the Details component which will show detailed information about a show. The details component will know which show to display based on data in the URL. This leads Brian to introduce URL parameters and demonstrate how to specify the parameters in the React Router. Brian spends a few minutes answering audience questions about how properties are passed between components and how React transpiles JSX code. He then finishes some refactoring of the Search component now that it is managing it’s own state and no longer importing the JSON data. Brian spends a few minutes talking about how he organizes his code in a React component. He typically starts with the propTypes then includes the lifecycle methods, custom functions, and finally the render() method. Brian completes the ShowCard functionality by making the ShowCard components clickable. He uses the Link component which directs the router to the details route with the current ID appended. Brian spends a few minutes answering audience questions about sharing state between components and using the createClass method in ES6. Brian introduces the React Lifecycle Methods. These are methods that are called at different stages throughout a component’s life in an application. One of the most common uses for these methods is to be able to request remote data as soon as a component is mounted. Brian spends a few minutes talking about these methods and how he typically uses them. Next, Brian creates the store for the application. The createStore method in Redux is passed the rootReducer to create the store. All application state will reside in this store object. Finally Brian creates the actions for the application. He stores the action definition in an actions.js file and the implementation of the action in an actionCreators.js file. These don’t need to be in separate files, but Brian prefers this architecture. Actions trigger the reducer to carry out the modification of state. Brian imports the action into the reducer. When the reducer is passed a specific action type, it will call the appropriate method to return a new state. Once the reducer is updated, Brian spends a few minutes reviewing the code and explaining his use of Object.assign(). Brian spends a few minutes walking through the entire Redux integration in the application. After reviewing Redux, Brian refactors the Landing component to map the dispatching of actions to component properties. Before moving on to the next topic, Brian spends a few minutes answering audience questions about why he’s using Compose. He also makes a few more arguments for the use of Redux in any application. Simply put, a thunk is a function wrapped around a value. The function abstracts where the value comes from. Brian spends some time explaining thunks and talking about why they are important in asynchronous operations. Brian adds the redux-thunk library to the application. This middleware will facilitate the exchange between synchronous and asynchronous actions. Before worrying about the asynchronous actions, Brian adds the addOMDBData reducer the existing reducers in the application. Brian now creates the getOMDBData function. Redux will call this function and trigger the asynchronous axios AJAX call. The result of the AJAX call will then dispatch the addOMDBData action. In order for Universal Rendering to work, the application must be able to run both from the server-side or client-side. Brian spends a few minutes separate the client and server aspects of the application. The core logic of the application will now reside in an App.js file. If the application is running on the server, it’s not able to use ES6 modules since they aren’t compatible with Node. Brian updates the .babelrc configuration file to compile the server-side code to CommonJS modules. Brian then adds the server logic. He introduces Express and implements the server-side rendering of the application. An AsyncRoute is a higher-order component that will display a loading state until a component is completely loaded. Once the targeted component is loaded, the AsyncRoute will remove the loading state and display they component. Asynchronous loading happens through the use of the System.import() method. Brian concludes his course: The Complete Intro to React. He spends the last few minutes answering a few audience questions on project starter kits, organizing code, and sharing a few last best practices.